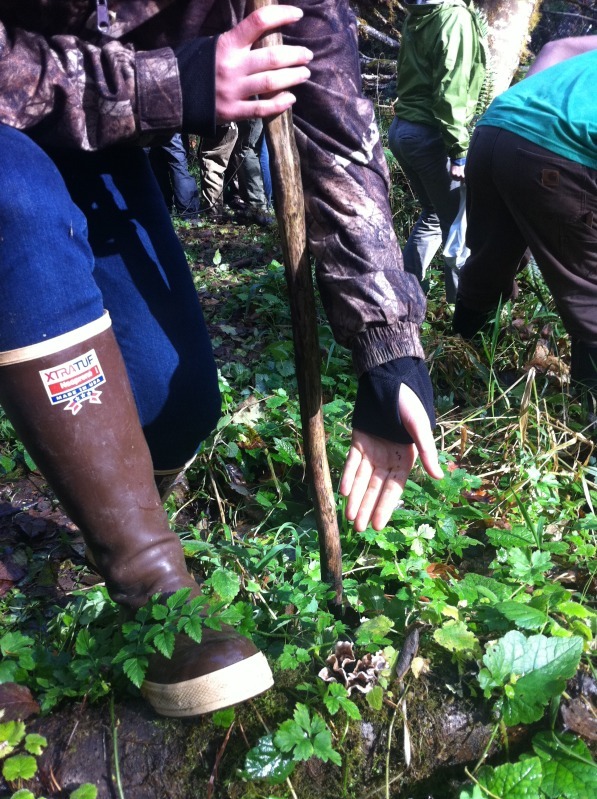 The Nov. 2 mushroom hike was a hit. of a watershed on the West side of the Elliott that has the highest coho salmon production on the Oregon Coast. We’re looking forward to more hikes and workshops soon. In the meantime, the team at Cascadia Wildlands has written up two proposals for alternatives to the privatization of Oregon’s public lands, highlighting the Elliott’s unique ability to sequester carbon and the ways Common School Fund revenue can still come from intact Coast Range forest in Oregon. Good reading to consider. Look for upcoming hikes in December with us. Bring your rain gear. A small Stereum Ostrea hiding along the trail.